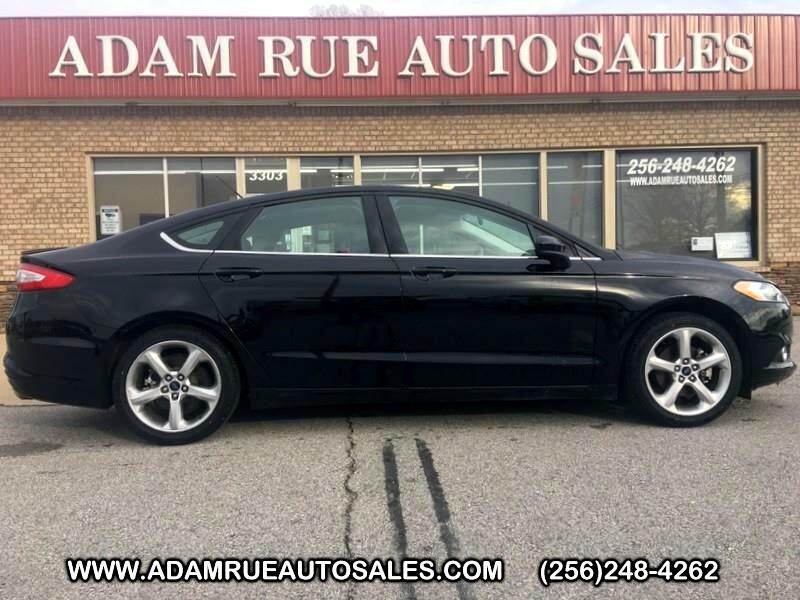 You can find this 2016 Ford Fusion S and many others like it at Adam Rue Auto Sales. You can tell this 2016 Ford Fusion has been pampered by the fact that it has less than 28,777mi and appears with a showroom shine. You've found the one you've been looking for. Your dream car. The Ford Fusion S will provide you with everything you have always wanted in a car -- Quality, Reliability, and Character. More information about the 2016 Ford Fusion: The Ford Fusion is a mid-sized sedan and must therefore compete in an incredibly competitive segment, going up against heavyweights such as the Toyota Camry and Honda Accord. Ford has priced the car accordingly, with models starting at $22,000. On the other end of the price spectrum, the Fusion can be outfitted with a variety of luxury equipment, providing a sensible alternative to the entry-level cars sold by several luxury marques. Interesting features of this model are available plug-in hybrid drivetrain, Efficient, stylish, and practical Thank you for considering Adam Rue Auto Sales! We are proud you are here. Our dealership is focused on making your buying experience as pleasurable as possible. We understand how difficult it can be finding the perfect vehicle. Our staff has been in this business many years and are trained to be professional and courteous while assisting you. After all, you are the reason we are here. We want to be a little different than what you will find down the street. We stock quality vehicles and look forward to treating you like family.